A new IndieDB post is long overdue - we hope you didn't hold your breath all that time. If you haven't (which, given that you're still alive, is pretty likely), take a look at one of the bigger and coolest features we have added to the game! 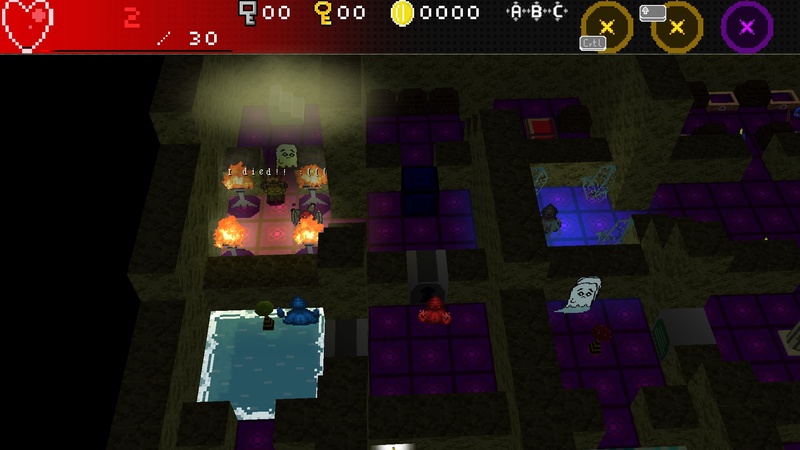 Dungeon Deities now proudly features an Overworld. In the past, we've noticed that some players had a very hard time finishing Dungeons, which over time could be frustrating. With player hints, we've already undertaken steps to make things easier: Now, if you start a Dungeon, you're given a hint of another player of your team who already played that dungeon. 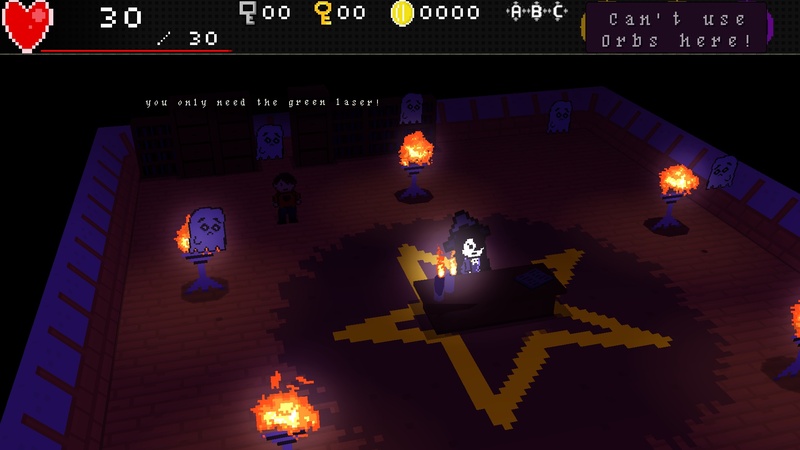 Even more, any player who dies leaves behind a little sad ghost that, if you come close, whispers a hint to you that hopefully helps you avoid their fate. Neat! However, now that we have different equipment in the game, we figured that it'd be incredibly useful for you to prepare more for any journey, and to give you a somewhat save environment to test your gear. This is where the overworld comes in! At launch, it'll feature a beautiful forest that hides not only monsters, but also some ominous places that - by magic - lead to someone's dungeon. Find it and you'll already be rewarded: You know the mastermind who created it, and more importantly the name of this place - often already giving you some info. Of course, you're not alone in the woods. Some terrible monsters may attack a brave soldier standing guard - rescue the poor guy and he'll tell you the hint - and thus, this time, you'll know before you enter the dungeon what you should be prepared for. Get your Orbs and Equipment from your storage to make the most of this information! If you require even more information, then perhaps Chardonney, a shy witch hiding in a hut somewhere in the forest, can help you - she's quite fond of the dead, talking to them about all kind of matters - and telling you about some poor guy's last words as he died in the place you just found is a piece of cake for her! We plan to add to the overworld continously. It's already fun to walk through it and to talk to the many NPCs in there - and we sure hope that finding dungeons and giving you the opportunity to prepare for them makes the game a bit easier and fairer!